Garmin International, Inc. today announced the GPSMAP 8600/8600xsv series, an extension of its flagship GPSMAP 8600 series that brings premium features like built-in sonar and new BlueChart g3 coastal cartography and LakeVü g3 maps with Navionics data and built-in Auto Guidance* to smaller, more affordable display options. Available in 10-, 12- and 16-inch displays that feature full HD in-plane switching (IPS) screens with multi-touch control, the GPSMAP 8600/8600xsv series is Wi-Fi enabled and offers full connectivity and networkability so mariners can completely customize their marine electronics system based on their needs and preferences. The new GPSMAP 8600/8600xsv series is being announced at the 2018 Fort Lauderdale International Boat Show, and will be on display at the Garmin booth #332 in the electronics tent. The new GPSMAP 8600/8600xsv series is the first to come preloaded with Garmin’s exclusive BlueChart g3 coastal charts and LakeVü g3 inland maps with integrated Navionics data and Auto Guidance technology. This new Garmin cartography brings unrivaled detail and convenience to users by blending the best of all three data sets – BlueChart, LakeVü and Navionics – to provide navigational aids, spot soundings, depth contours, tides and currents, and detailed harbors and marinas. In addition, Garmin’s preloaded BlueChart g3 is the first to offer built-in Auto Guidance technology that instantly searches through relevant charts to create a suggested path based upon the dimensions of the user’s boat – one that seeks to avoid low bridges, shallow water and other charted obstructions. International versions of this new series, the GPSMAP 8400/8400xsv series, are also available and come preloaded with a worldwide basemap. The premium processing power found in the GPSMAP 8600/8600xsv series significantly benefits all onboard sensors like sonar, radar, cameras, video and digital switching, and enhances the user experience across the entire network. This lightning fast processor also delivers Garmin’s fastest map drawing capabilities, so there’s hardly ever a delay, even at high speeds. With SmartMode, these multi-function displays (MFDs) are designed to give the user quick, one-touch access to the information they care most about. Users can configure and customize their entire system for activities ranging from docking, cruising, fishing, and anchoring with just one touch. The new GPSMAP 8600/8600xsv series is expected to be available in Q1 2019 with an MRSP ranging from $2499.99 to $5999.99. For more information, visit garmin.com/newmarine. 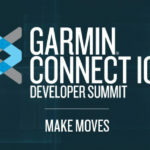 Notice on Forward-Looking Statements: This release includes forward-looking statements regarding Garmin Ltd. and its business. Such statements are based on management’s current expectations. The forward-looking events and circumstances discussed in this release may not occur and actual results could differ materially as a result of known and unknown risk factors and uncertainties affecting Garmin, including, but not limited to, the risk factors listed in the Annual Report on Form 10-K for the year ended December 30, 2017, filed by Garmin with the Securities and Exchange Commission (Commission file number 0-31983). A copy of such Form 10-K is available at http://www.garmin.com/aboutGarmin/invRelations/finReports.html. No forward-looking statement can be guaranteed. 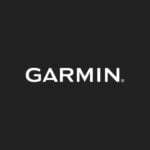 Forward-looking statements speak only as of the date on which they are made and Garmin undertakes no obligation to publicly update or revise any forward-looking statement, whether as a result of new information, future events, or otherwise.